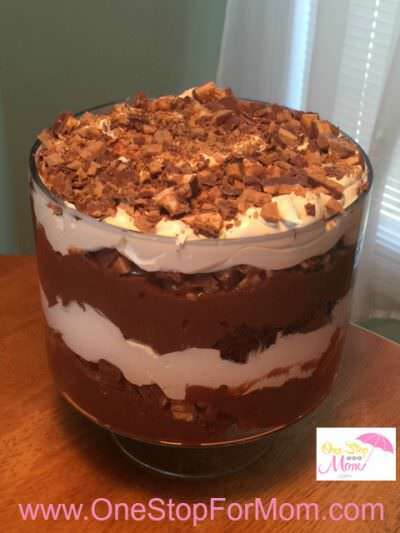 In large pedestal bowl, layer brownies, cover with chocolate pudding, 1/3 of candy mixture, and 1/2 of Cool Whip. Repeat and use the last 1/3 of the candy to cover the Cool Whip. Cover and store in the refrigerator until ready to eat. ENJOY!